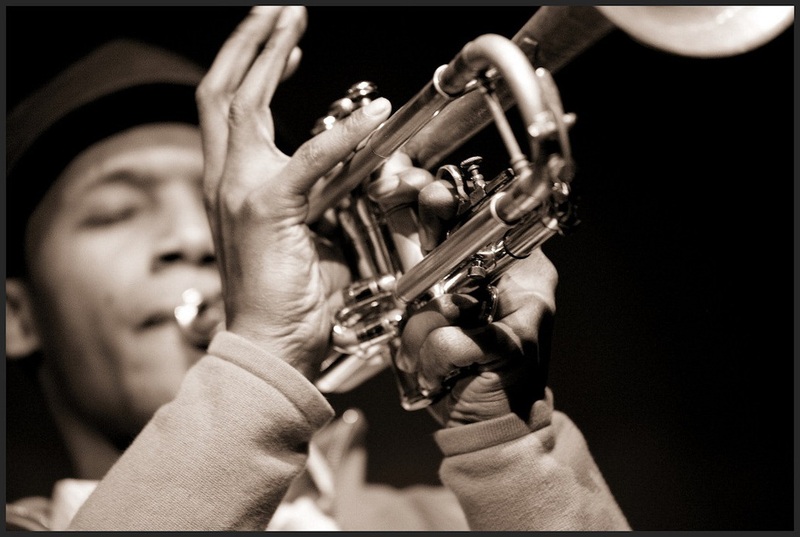 Acclaimed trumpeter and composer Jason Palmer and his quartet will perform as part of the Giant Step Arts series on Friday and Saturday, June 15-16 at The Jazz Gallery, 1160 Broadway, Fifth Floor, New York City. The concert will be recorded, videotaped and photographed by renowned photographer and recording engineer Jimmy Katz for release later this year. Joining Palmer will be saxophonist Mark Turner, bassist Matt Brewer, and drummer Kendrick Scott. Sets at 7:30 and 9:30 p.m. each night. Tickets $25-35, $10-20 members. For information call 212-242-1063 or visit jazzgallery.nyc/shows/. Jason Palmer has performed with Roy Haynes, Herbie Hancock, Jimmy Smith, Wynton Marsalis, Kurt Rosenwinkel, Ravi Coltrane, Lee Konitz, Phil Woods, Roy Hargrove, and many others. Awards include a 2014 French American Cultural Exchange Jazz Fellowship, and first place in the 2009 Carmine Caruso International Jazz Trumpet Solo Competition. In 2007 DownBeat Magazine called Palmer one of the “Top 25 Trumpeters of the Future.” Currently a Steeplechase Records recording artist, Palmer has recorded eight albums under his own name and appeared as sideman on more than 40. He has taught at New England Conservatory, Berklee College of Music, and Harvard University. His latest release is the 2016 Beauty ‘n’ Numbers. Giant Step Arts is a groundbreaking new non-profit founded by award winning photographer and recording engineer Jimmy Katz who has documented the world of jazz for nearly 30 years. In January 2018 Katz launched his series of live concerts with The Johnathan Blake Trio featuring Chris Potter and Linda Oh. That recording will be released later this year. As with all Giant Step Arts project, the musicians are well compensated, own their own masters, and Katz provides them with 700 CDs as well as digital downloads to sell directly, bypassing the profit-sharing incurred in the record label model. He also shoots photos and videos and provides them to the artists. Instead of using these events for personal reward, he passes the recordings on to the musicians to sell themselves, an unprecedented deal that feels especially rare in today’s self-obsessed cultural climate.